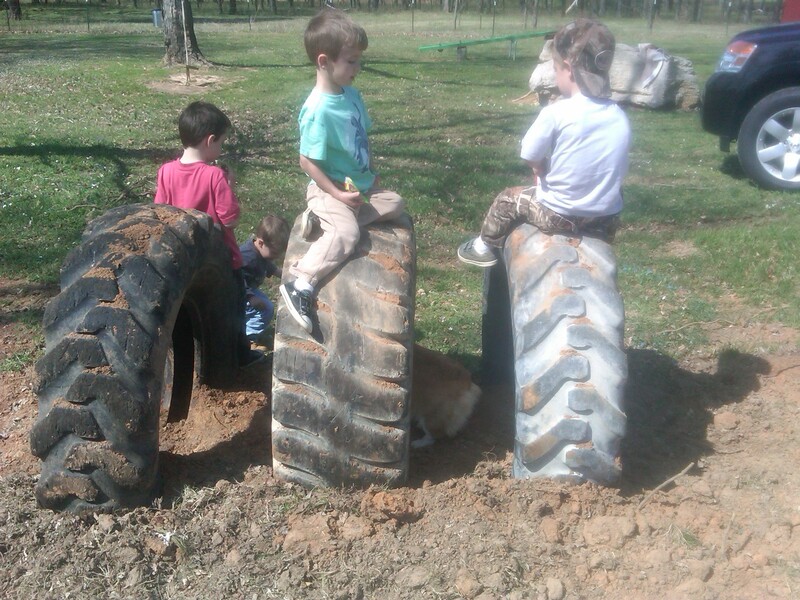 The boys are testing out the newest addition to the playground area. 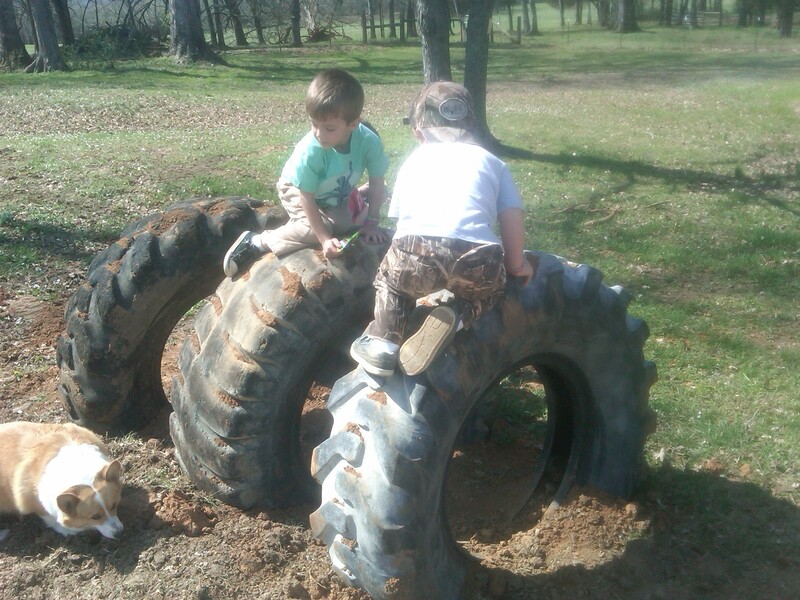 My friends at Gateway Tire gave me these huge old tractor tires. Turns out they make great horses for riding, a cool tunnel for hiding and a good fort for defending.